Home / Private: Resources to Participate / Need to change specs on an enrolled home? 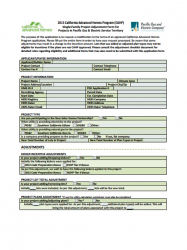 Complete an adjustment application to notify CAHP if you make changes to homes after they enroll. 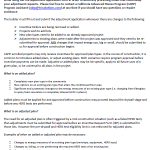 To ensure you are submitting a complete adjustment application package, please refer to the adjustment application checklist below. If you enrolled a home prior to January 1, 2017, but you didn’t apply for permits under the 2013 Title 24, please submit a rollover application to transition your home to the 2016 Title 24 program. To ensure you are submitting a complete rollover application package, please also refer to the rollover application checklist below. 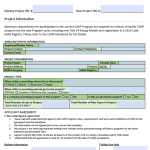 Important eligibility update for currently enrolled California Advanced Homes Program (CAHP) 2013 code projects! Any lots that show negative kWh or therm savings on a rollover or adjustment application received after June 15, 2017 will not be eligible for program incentives. Rollovers: If you have a project with lots that need to enroll in the 2013 code program, CAHP must receive a complete rollover application package for any of the lots showing negative savings no later than June 15, 2017. After this date, lots with negative savings will not be eligible for program incentives. Adjustments: Any adjustment applications received after June 15, 2017 that result in, or involves plans which show, negative savings will no longer be eligible for incentives. Enrolled lots that do not require an adjustment or a rollover application will not lose their reserved incentives. 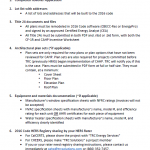 At this time, this update does not apply to projects submitting under the 2016 energy code.